The surprise in President Barack Obama's nomination for U.S. Attorney for the Northern District of California was not that he'd chosen Melinda Haag (left), a litigation partner at San Francisco's Orrick Herrington and former federal prosecutor. Based not only on her sterling profile, but also on my experience working with her as joint defense counsel in a transnational criminal case before the U.S. Court of Appeals for the Ninth Circuit, I'm confident that Melinda will prove an excellent leader for an office long in need of excellent leadership. ... since Annette Adams, who served from 1918 to 1920. The 1st woman was appointed in 1918? Two years before passage of the 19th Amendment? This news prompted further inquiry. Born the daughter of a Gold Rush 49er on March 12, 1877, in the Sierra Nevada town of Prattville, Annette Abbott earned a bachelor in law degree from the University of California, Berkeley, in 1904, but could not find a job in law. So she entered marriage and a teaching career. Both turned out to be brief, though she did serve as 1 of the 1st women school principals in California. 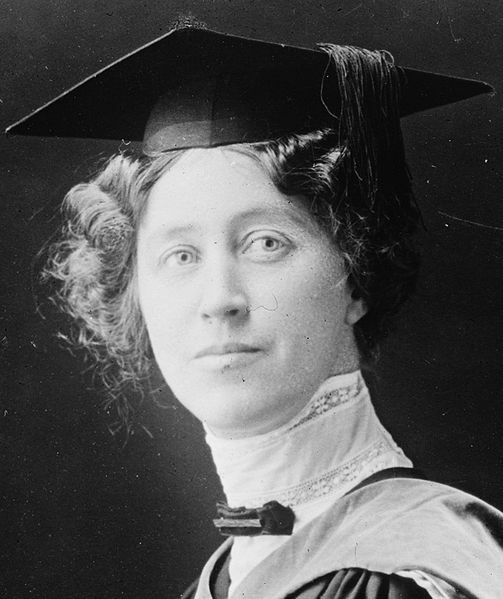 Adams then went back to Berkeley, where in 1912 she was among the 1st women to receive her J.D. and to be admitted to the state bar. She served as San Francisco's lead U.S. Attorney for 2 years, then moved to Washington, D.C., to serve a stint as Assistant U.S. Attorney General that included work on 5 U.S. Supreme Court cases. Again, she was the 1st woman to hold the position. She then returned home and practiced law. In 1942, California's governor appointed her the 1st woman Presiding Justice of the Court of Appeal, for the San Francisco-based Third Appellate District. In 1950, by special assignment, she presided over 1 case on the state's highest court, and so became the 1st woman to sit on the Supreme Court of California. She died in 1956, at age 79. Conviction, courage and co-operation should be our watchwords: conviction in the justice of our cause, courage born of that conviction and a growing consciousness of our power, and, above all, co-operation in order that our combined forces may constitute an influence worthy to be reckoned with. Adams surely is a fitting foremother for Melinda Haag, to whom we offer heartfelt best wishes for a speedy confirmation as San Francisco's U.S. Attorney. Thanks for this informative post. Equally shocking is that the 2nd woman nominated would come in 2010! Seriously?